After publicly facing sexual assault allegations for over 10 years, Bill Cosby was charged with alleged aggravated indecent assault on Wednesday morning. Cosby is expected to be arraigned later in the afternoon, according to Montgomery County authorities. Bustle has reached out to Cosby’s lawyer for comment, but has not yet heard back. This criminal charge stems from a 2004 allegation from former Temple University employee Andrea Constand, who claims she was drugged and violated by the comedian in his home. Now that he's been officially charged, what does this mean for the actor? 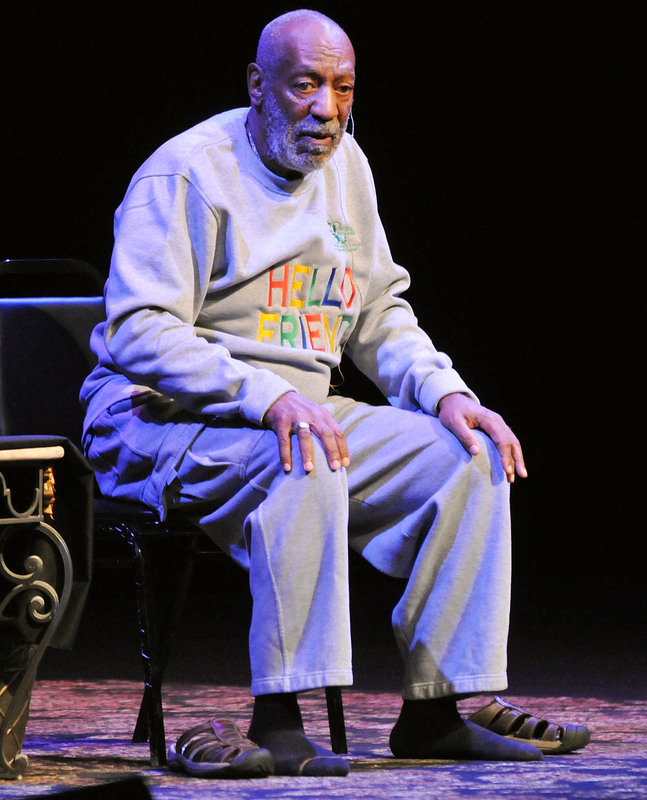 Could Bill Cosby go to jail? In Pennsylvania, aggravated indecent assault is a second degree felony, which means if convicted, Cosby could face up to 10 years in jail and up to $25,000 in fines. It's worth noting that Pennsylvania has a mandatory minimum associated with these kinds of felonies, meaning if found guilty, Cosby will face a mandatory minimum sentence of two years in prison. But before the case even makes its way to court, there will likely be a preliminary hearing, in which a judge determines whether there is enough evidence for a trial. If a judge decides to move forward, the case will then go to court where a jury will decide whether Cosby is guilty or not guilty. Back in 2005, Constand first filed a lawsuit against Cosby, but the district attorney decided not to file a charge. The lawsuit was later settled out of court for an undisclosed amount of money. The case was then reopened in the summer of 2015 after an unsealed testimony was released, in which Cosby admitted to obtaining Quaaludes to give to women he planned to sleep with and opened up about a "sexual moment" with Constand. These new details are what urged prosecutors to file a charge before the case's statute of limitation runs out in January 2016. Pennsylvania's statute of limitations for sexual assault charges is 12 years. If a trial does happen, it sounds like the Constand is willing to fully cooperate. According to People, Constand was not available for comment, but her lawyer Dolores Troiani offered the following statement, "Obviously we appreciate the expression of confidence in her. We'll have to see what happens. We hope justice will be done. We will cooperate fully." Previously, Troiani spoke about how her client is willing to do whatever necessary. She explained, "She's a very strong lady. She'll do whatever they request of her." Constand is one of more than 50 women who have accused Cosby of sexual assault. In most of these allegations, the statute of limitations has run out to pursue any criminal charges. At the end of their press conference, Montgomery County officials encouraged any other victims or anyone with further information to contact the district attorney's office.